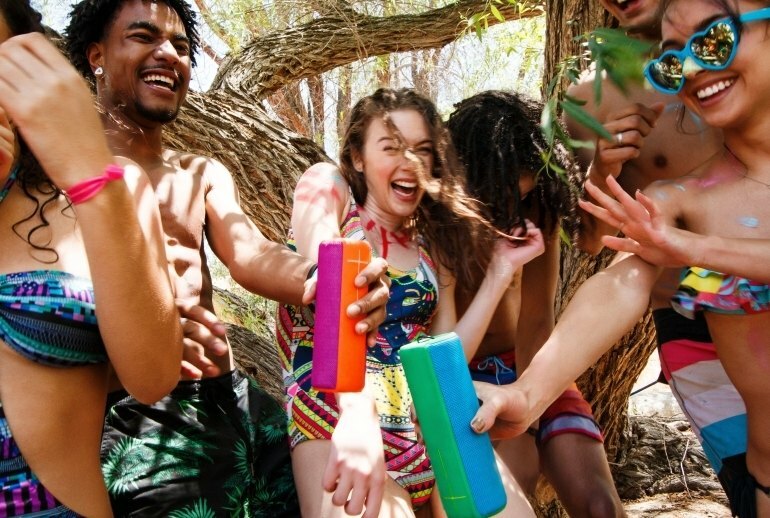 The UE Boom 2 is perfect for outdoor use. It is waterproof, shock-resistant, stain-resistant, durable, and about as bulky as a water bottle. 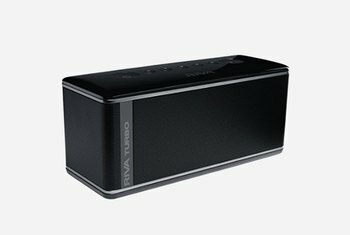 For a Bluetooth speaker, it can play loudly and clearly with an especially good base range. 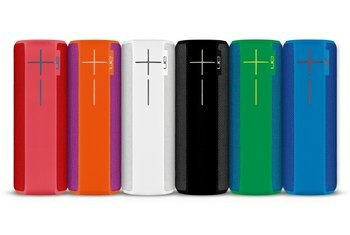 The UE Boom 2 has good battery life and incredible Bluetooth range compared to similar options. The sound the UE Boom 2 makes at high volumes is noticeably distorted. Some users have had trouble getting the tap controls to work. 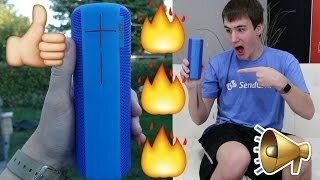 No matter how good it is compared to most Bluetooth speakers, similar speakers can still be bought for much cheaper. 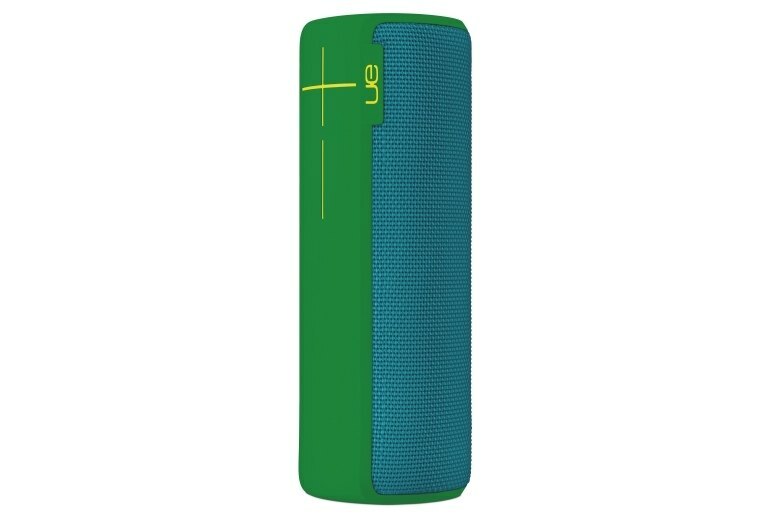 The UE Boom 2 by Ultimate Ears is a small, portable speaker designed for outdoor parties. It is just about indestructible with its waterproof, stain-resistant cover. With the mobile app, it can be controlled by multiple users, used for alarms, and paired with other speakers for better sound. 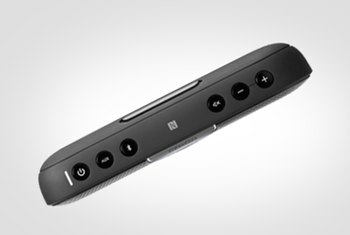 The high maximum volume and 100-foot Bluetooth range are impressive for compact speakers. The 15-hour battery life is more typical. By picking it up and tapping the top, users can easily pause, skip, and go back. It comes in six colors, some classic and some flashy. Just like the last Boom, there's an impressive set of features inside the speaker, but you'll need the companion app to unlock them. I put mine on the floor of the shower a few times, and even threw it into the Pacific Ocean. Then I kicked it around in the sand. It still plays fine. As comparatively excellent as the Boom 2 sounds, it still exhibits the performance shortcomings that all these compact Bluetooth speakers exhibit. 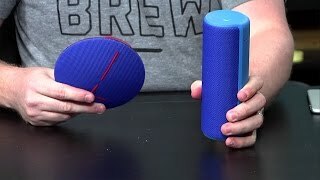 Sound quality on the UE Boom 2 is impressive, at least by Bluetooth speaker standards. 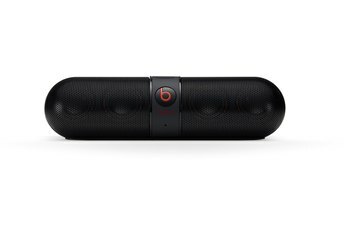 Bass levels are solid and pack a suitable punch, although at times they can drown out the mid-range. If you love your Boom and need more ruggedness, or want a second model to pair for a wider sound, the Boom 2 is a worthy successor — but other models offer better value or features. 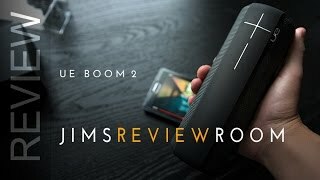 Like the name implies, the Boom 2 is a powerful little speaker. It's capable of putting out an impressive amount of sound, and while it's not exactly wall-shaking, it'll certainly command attention at your next gathering or small party. The new Boom’s also tough enough to be dropped, and carries in a backpack just as comfortably as a full water bottle. 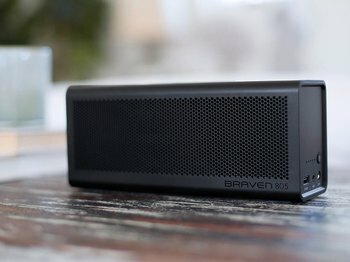 The rugged, waterproof design is extremely portable, puts out a lot of sound, and keeps things simple for those who want to just toss a speaker in a bag and go. The battery is still rated for 15 hours, but if you're always jamming out at full volume, you'll find that time cut down significantly. I love the Logitech UE Boom app which still allows you to see battery indicator, set music alarms, and pair multiple speakers in better than stereo but not quite as robust as Sonos type configurations. That cylindrical shape lends well to pushing audio out in all directions, which is perfect for picnics, parties and casual placement wherever you happen to be. Its rugged design is built to withstand the mud, shock, or dirt that tends to happen while riding and the enhanced audio output can also help music be heard over environmental noise. 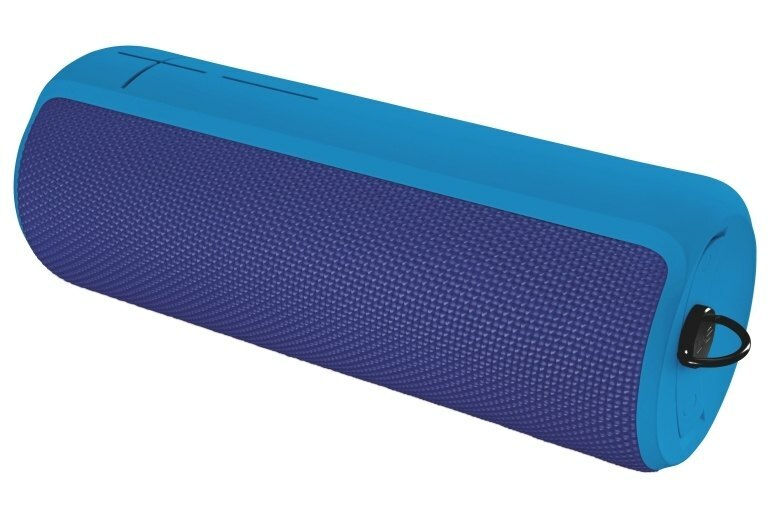 The Bluetooth speaker market is getting more crowded than ever, but Ultimate Ears clearly hasn't felt any pressure to reinvent the UE Boom.